The African continent enjoys a vast and ever-changing landscape from lusciously fertile jungles through to the hot, arid desert. If you are visiting anywhere in Africa or better yet traveling through, there are some breath-taking places you won’t want to miss out on. 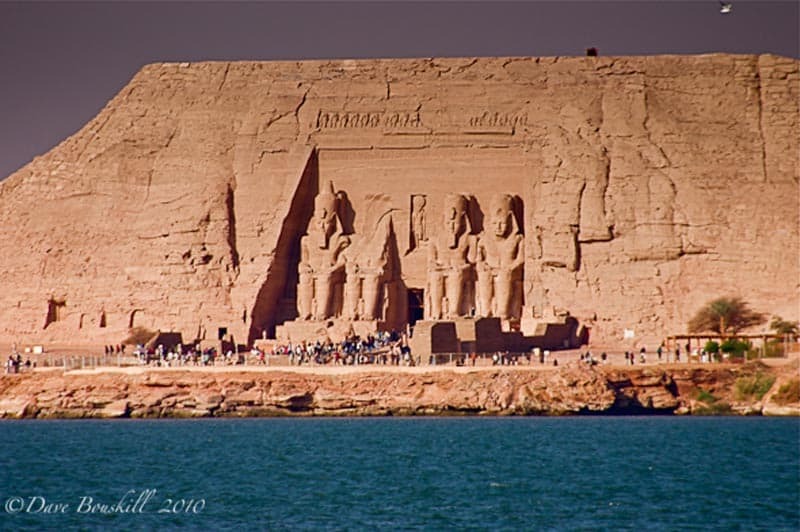 Historically moved from their original location the two temples at Abu Simbel are an impressive sight to behold. They were carved out of the sandstone cliff near the River Nile over three millenniums ago – during the reign of the great Pharaoh, Ramesses II. The temples were built to honour the Pharaoh and the Egyptian Gods. This is not just an afternoon hike up Table Mountain; Mount Kilimanjaro (Kili as it is affectionately known) is the highest mountain in Africa, and at 19340ft its not surprising that summiting this impressive mound is a difficult and sometimes grueling task. The highest peak, Uhuru, can be reached by those with a moderate to high level of fitness, and if you can summit you’ll be able to say you reached the point of the tallest free-standing mountain in the world. The thousands of tones of water gushing downwards is the site of the “largest curtain of falling water on the earth”. Victoria Falls is a grandiose waterfall on the Zambezi River at the Zimbabwean-Zambian border. The “Mosi-oa-Tunya” (smoke that thunders) columns of water spray can be seen from miles away and the sound elaborates to visitors just how powerful the water-flow is. On the Zambian side there are relatively-safe natural pools to swim in so don’t forget to bring your costume (and your camera of course). The Egyptians have such a rich and decadent cultural history, and the Pyramids are an important cornerstone in that regard. 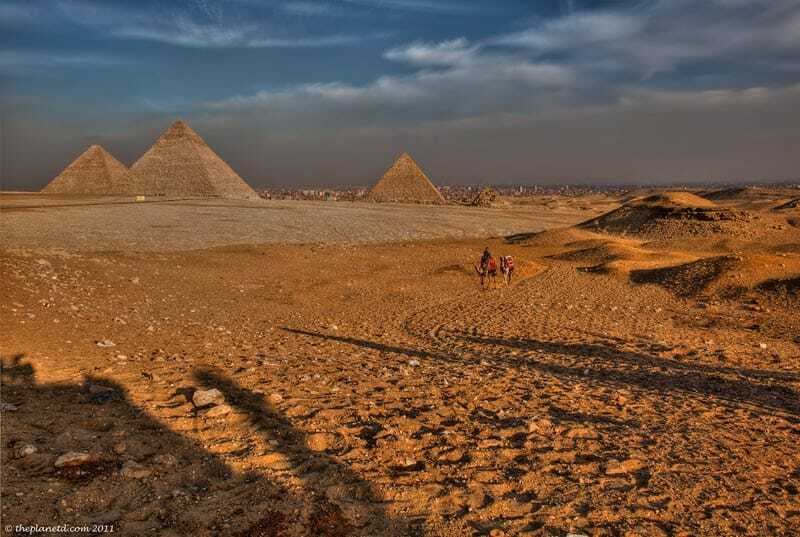 The triangular architecture of the Pyramids has become the icon most famously synonymous with Egypt, and most of them (there are over 100) were built as tombs to preserve the mummies of Pharaohs and their family-members. 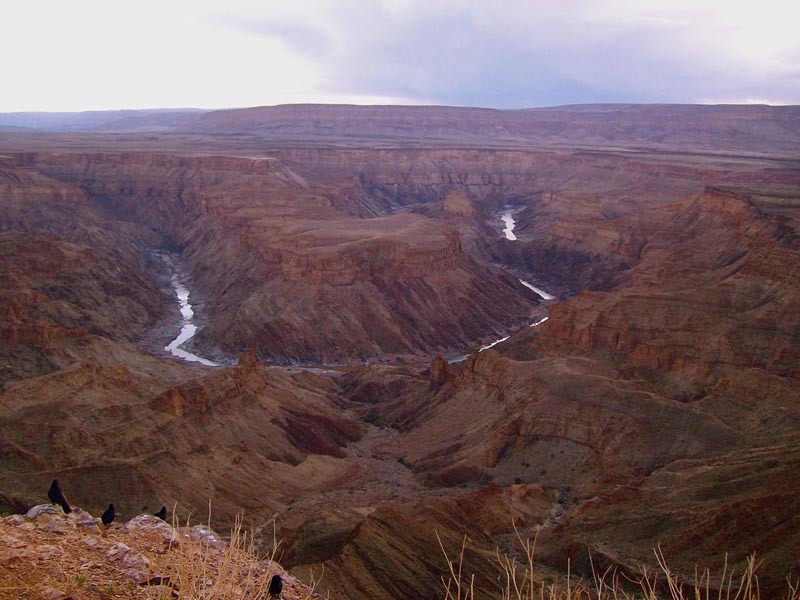 After the Grand Canyon of America, the Namibian site of the Fish River Canyon is the most spectacular in the world. With a 160km ravine which measures at about 27km wide and 550 metres deep in some places the Fish River flows in the belly of this giant spectacle. Here you’ll enjoy wide open spaces that allow you to breathe the fresh air easy and take in the vast scenery. Arguably one of the most amazing natural events in the world, the Wildebeest Migration is an impressive movement to witness. The migration takes place among the open plains as hundreds of thousands of the magnificent wildebeest and zebra move towards greener pastures. The mass movement is a tense journey for the herbivores as they are followed closely by various predators hoping to benefit from the stragglers’ weaknesses. The African continent enjoys a vast and ever-changing landscape from lusciously fertile jungles through to the hot, arid desert. If you are visiting anywhere in Africa or better yet traveling through, there are some breath-taking places you won’t want to miss out on. 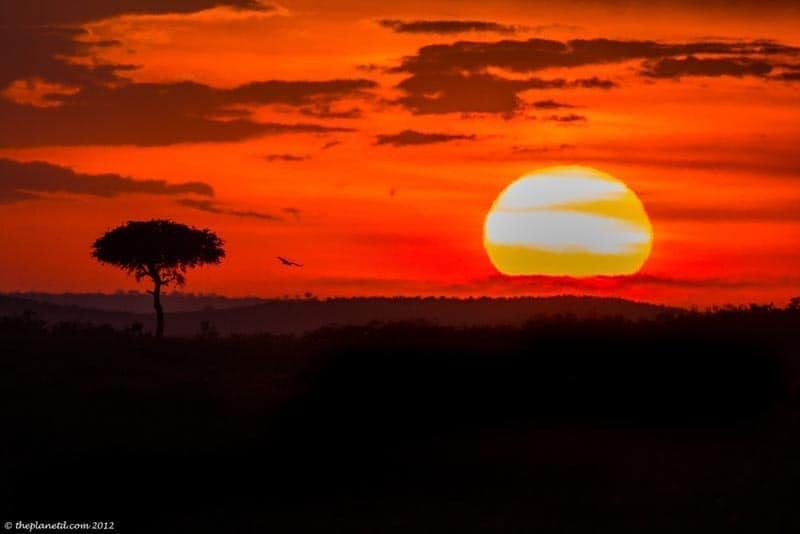 Below are the last six great places to visit in Africa. For a period of about 500 years between the 16th and 11th centuries BC it was in the Valley of the Kings where the tombs for Kings and all other nobles were constructed. 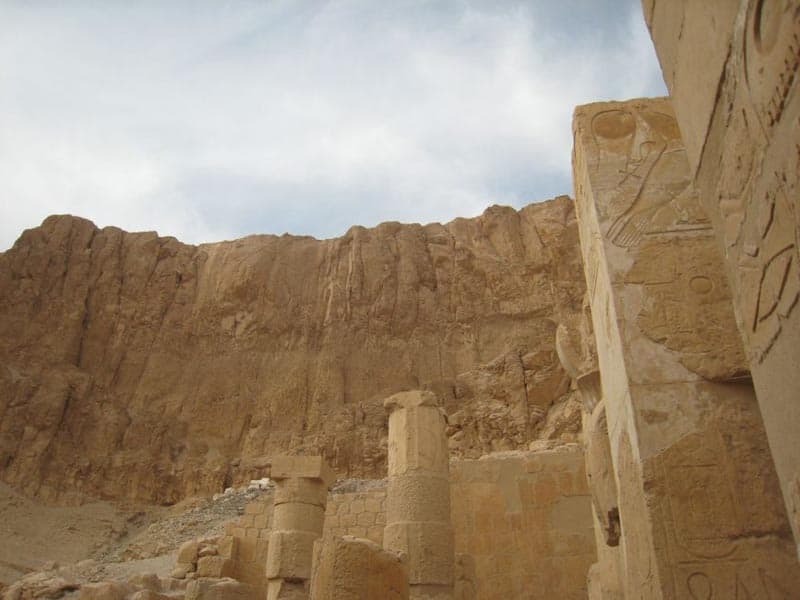 Found on the West bank of the river Nile near Luxor this impressive valley is not only majestic because of the 63 (approximate) royal tombs in the area, but because of the expansive landscape. Most of the tombs are said to hold priceless Eqyptian antiquities (some of which have been stolen over time). It was in this valley in 1922 that the intact tomb of the great historical figure Tutankhamun was discovered. 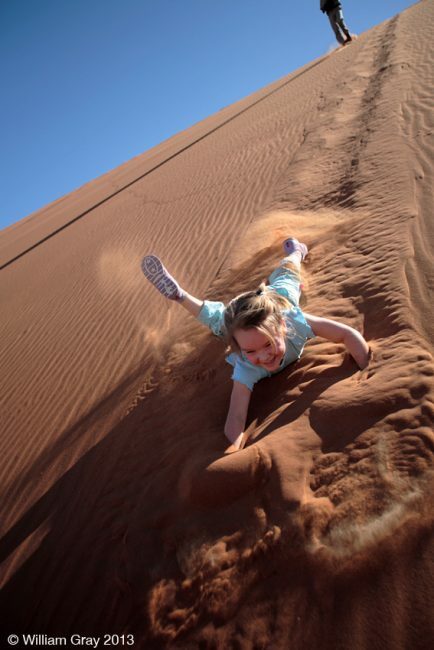 This huge clay pan enclosed by magnificent sand dunes is located in the Namib Naukluft Park. Some the massive sand dunes are an unbelievable 300 metres tall and are often referred to as the highest in the world. When it rains, a rare occurrence, the Sossusvlei fills with water and the resultant turquoise lake remains for long periods as the clay layers allow very slow water filtration. This is one of the most impressive and largest temple sites around the globe. It is a conglomeration of three main temples and several smaller temples (which sadly are in ruins). 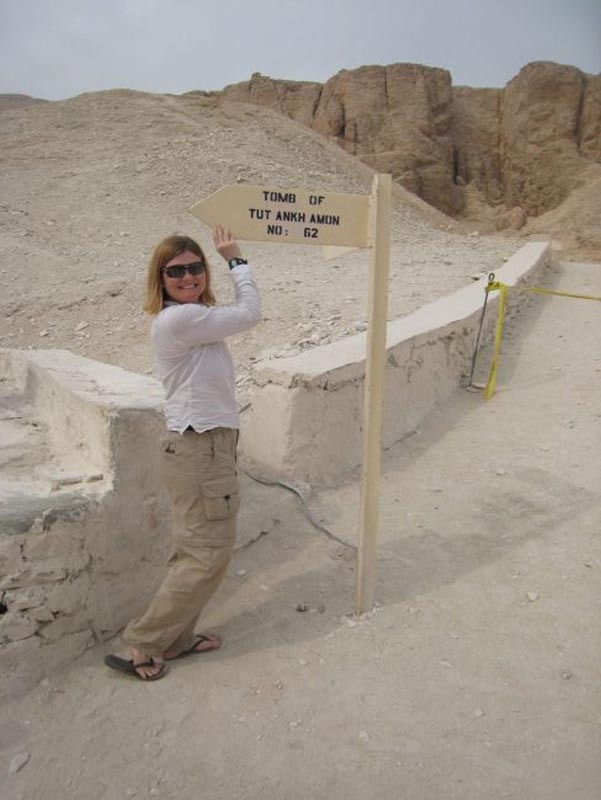 The Karnak Temple Complex is also located near Luxor which is home to other impressive sites. It is the only main temple area open to tourists and the general public. This delta is often incorrectly referred to as the Okavanga Swamp. It is the world’s largest inland delta, and covers an area of 17000 square kilometres. Thousands of years ago the drying up of the Lake Makgadikgadi was the cause of this unique water feature, and it has attracted explorers and tourists ever since. 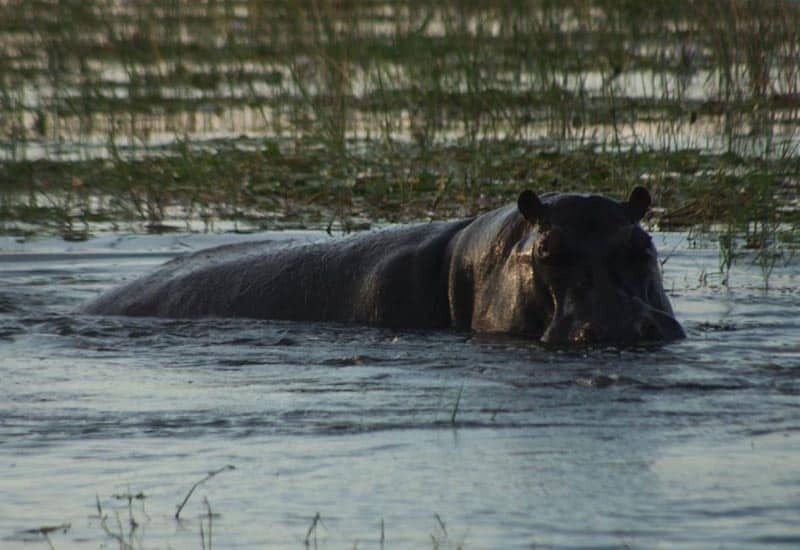 The Okavango River drains its water onto the Kalahari Desert plains in Botswana and forms an intricate and awe-inspiring labyrinth of inland lagoons, lakes and islands – the Okavanga Delta. The chain of volcanic mountains that make up the Virungu Mountains lies on the border of Uganda, Rwanda and the DRC. Their spectacular beauty is due to their luscious and fertile slopes. 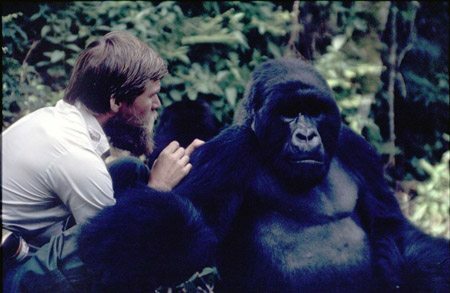 They are also the only remaining home of the severely endangered mountain gorillas. They are home to other interesting animals such as Chimpanzees, forest elephants and the okapi (a mammal similar to the giraffe but with much shorter legs and neck, they have stripes down their legs). 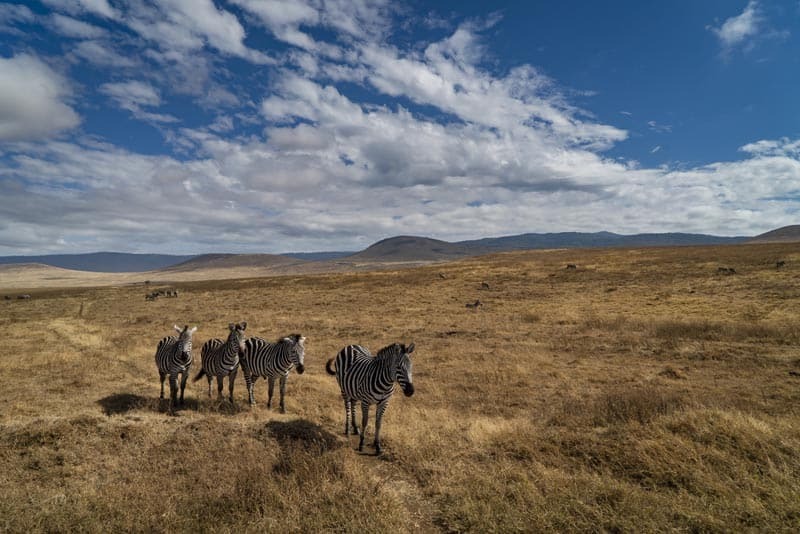 The world’s largest unbroken, unflooded volcanic caldera, the Ngorongoro Crater measures 19km across, 600metres deep (from the rim of the crater to the floor) and has a total floor area of 260km squared. A giant volcano exploded and then collapsed on itself around three million years ago to form the colossally remarkable crater. It is considered a “natural enclosure” for wildlife – many species are found on the crater floor. « Winter Activities in Canada You Just Cannot Miss! 18 Responses to "12 of the Greatest Places to Visit in Africa"
I advise you to visit Morocco, It has a very beautiful cities and plenty of sand in Sahara desert. You can meet lovely people and try delicious meals. 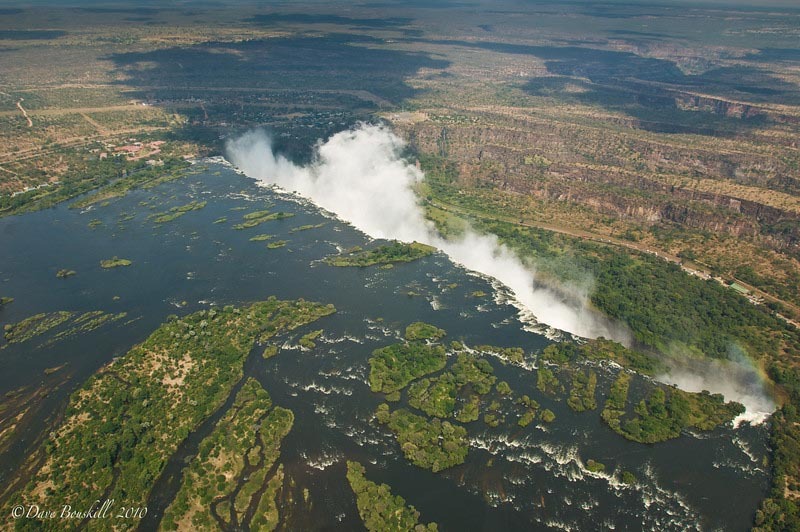 A trip to the Victoria Falls is a splendid way of indulging yourself in extreme adventure. This heavenly allurement is either reaches by flights to Zimbabwe or by going through Zambia as stated above. Whichever African beauty you choose the journey to the Victoria Falls will surely be one to remember. Excellent piece and a fantastic collection of beautiful places everybody should visit. The photographs on this page are stunning. I have personally visited all of these site I would also all Cape Hope, Table Mountain and Kurger National Park. 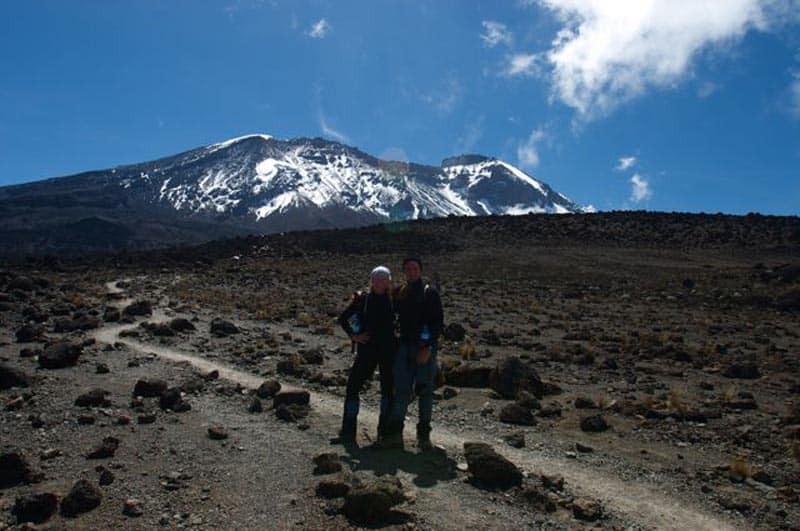 Definitely recomend a Kili climb! Did you make it to Uhuru? Beautiful pictures, I really like! Awesome! I am in Egypt now and just went to Abu Simbel yesterday. It was amazing! The internet over here is not so great though! Amazing places. Hope you guys are doing well. .-= Migrationology´s last blog ..Bangkok’s Finest Street Indian Food =-. Awesome that you are in Egypt. We did enjoy it immensely there. Get yourself to a McDonalds in Luxor, (if that is your next stop) It has free high speed wifi: pathetic I know, we always seek out the high speed wifi. These pictures are incredible. It’s just so eye-catching. I really like the collection of pictures. Tanzania such a great place. .-= Furnished Apartment Rental´s last blog ..Yak Estates =-. everyone likes to make his journey,memorable in which they enjoy their journey with comofort, luxury,arrangments, pakckage and best services with economical rates, i m feeling lucky that i found a travel agency “Sato Travel” which provide all of these facilities , for the civilan and army personnels to enjoy their vaccations around the world. Wow! This place looks spectacular! I really love to travel in Africa. There are a lot of things to check out in africa. .-= Amy @ The Q Family´s last blog ..Chiang Mai with Kids- The Road Trip to Chiang Mai &amp Odd Things You Will See =-. Tanzania has been #1 on my dream destination list for what seems like forever! I NEED to make it happen!!! .-= Andi´s last blog ..Cuba- Day 3 Part 1 =-.